I love scaffolding. I admit it. Some people love ladders. Some people love boom lifts. You see, ladders are all about up/down and up/down and up/down. A day of this at my age is tough. You can also only work a small area at a time before having to move the ladder. Up/down and up/down and up/down. And, there is no way you can have plenty of tools and brushes and paint cans all handy on a ladder. So, more up/down and up/down and so on. I am exhausted just writing this! 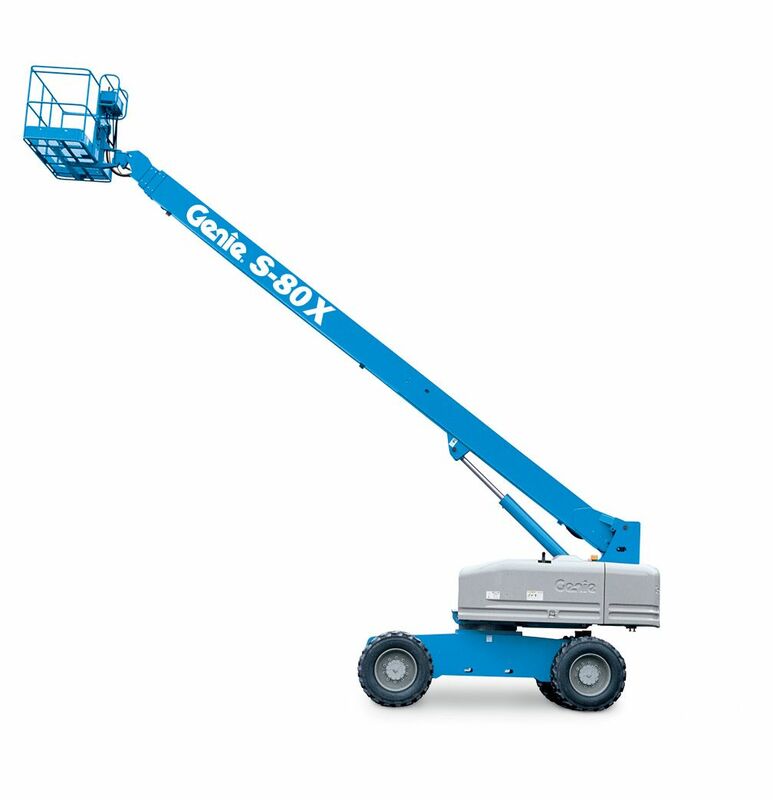 Boom lifts (image below) are much better than ladders in many ways but the rental rate is scary expensive. The daily rate is bad enough but what if you need one for six months (about the collective time it will take to paint the Cross House)? Lifts also move. I do not mean just that the whole machine can move from A to B, but that when the machine is stationary, and you are WAY up in the bucket, the bucket moves, lurches, and sways with the wind. I am queasy just writing this! Hence, my love affair with scaffolding. 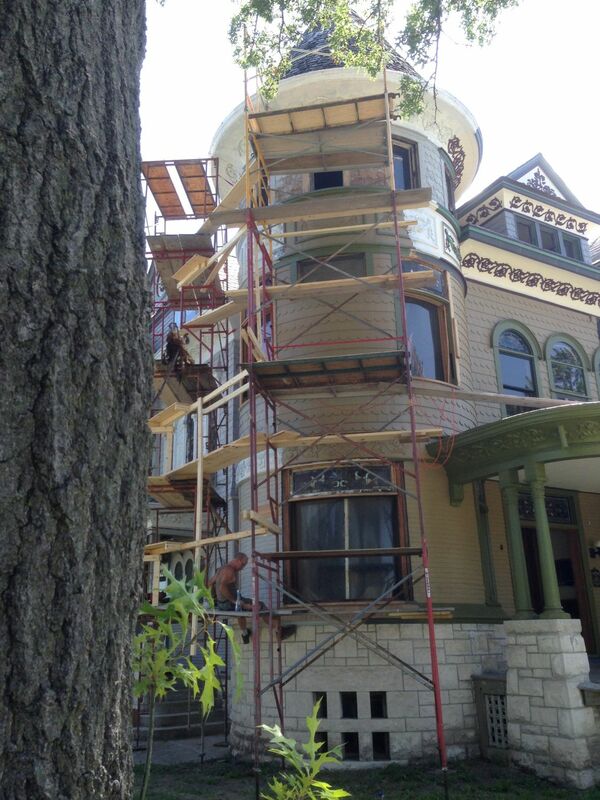 With scaffolding, there is no movement, lurching, or swaying. I cannot express enough how much I enjoy the sense of SOLID ground under my feet, even if the ground is several 2x12s three-stories above the actual ground. I also love feeling safe, so having handrails all around me makes a huge difference. In the event that I make a wrong move, or trip over a paint can on the 2x12s, or just fall dead faint (as can happen), I will not fall three stories to the ground, as would happen on a ladder. When I am way up on scaffolding, it is a thrill getting up close and personal with bits of the Cross House which, from sidewalk level, seem incredibly distant and inaccessible. HOW in the world I am going to paint THAT? With scaffolding, I am suddenly, well, right there. And intimacy is a rush. When I am Way Up, I feel no sense of danger or queasiness. None. I feel safe. I cannot stress enough the value of this. For, when I feel safe, I am comfortable, relaxed, and do a better job. With scaffolding, I can access a lot of the house from each platform erected high in the air. I can also have all my tools and paint cans and brushes and the afternoon martini (just kidding!). It is only when I am back on the sidewalk that I look up and get a little queasy. I was up there? My knees quiver a bit. 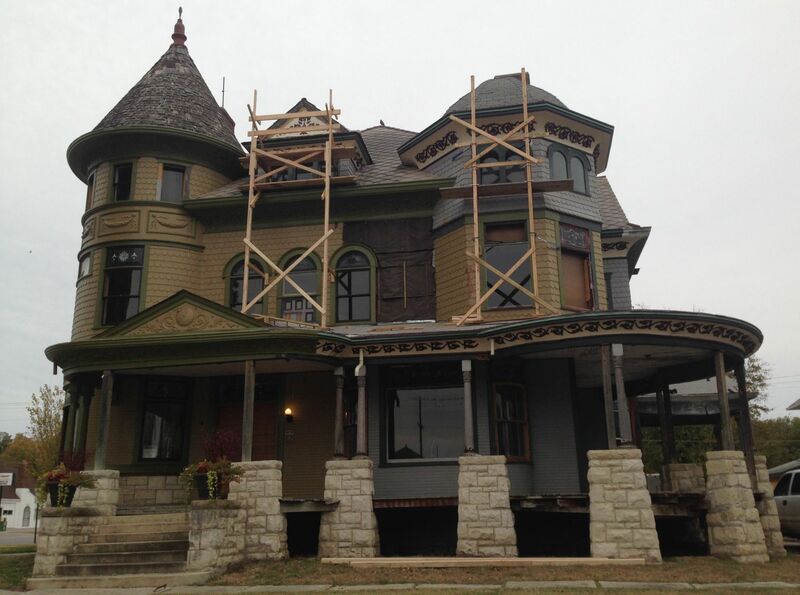 10 Responses to A Love Affair With…Scaffolding. Very impressive. I am still scared of scaffolding also. Admit it- It’s kinda like an Erector set or Legos for big kids. But yes, effective and cost wise. Yes, I could r agree more about the scaffolding. 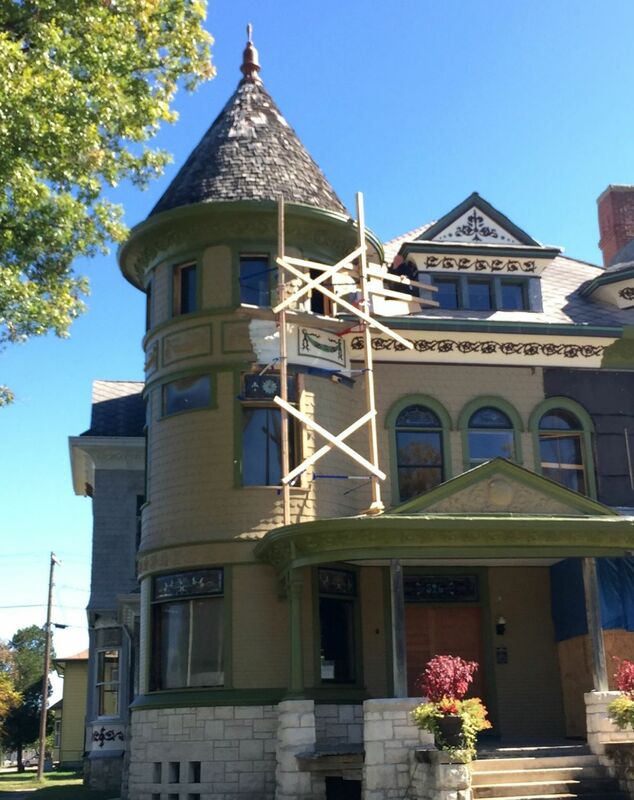 I started my exterior restoration off ladders, and quickly realized that the return on investment for scaffolding would be very fast. Scaffolding and my PaintShaver are two tools I wouldn’t own a wood-sided house without. I love scaffolding as well, but I’m not fond of the boiler stuff you have. I use system scaffolding a.k.a. pole and collar. It’s the most versatile and easiest to use for a single man. I realize I’m way out of timeline in responding to this post. (I’m binge reading to catch up with today.) 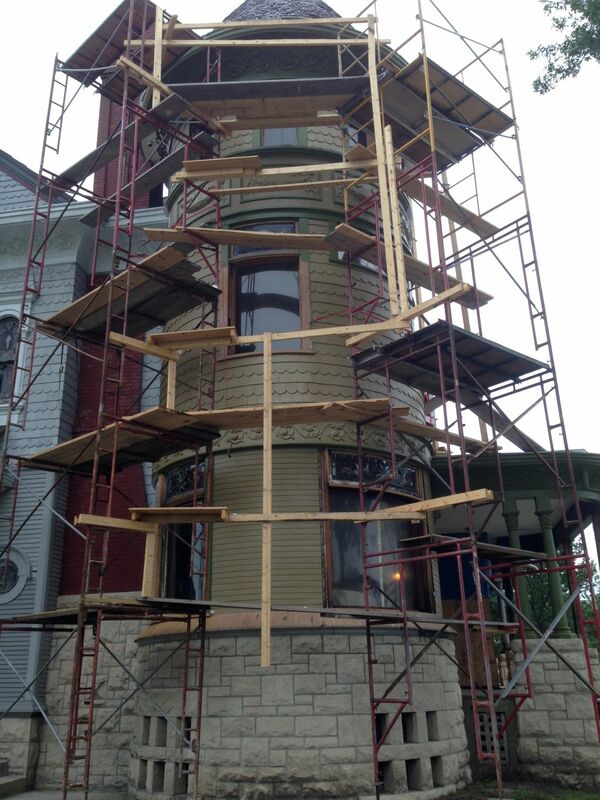 Obviously, you had/have a better scaffolding builder than I did… While I was in high school, we lived in a house in Portland, Oregon that was 3 stories high, with a chimney carrying flues for 3 fireplaces, that extended another approximately one floor higher. 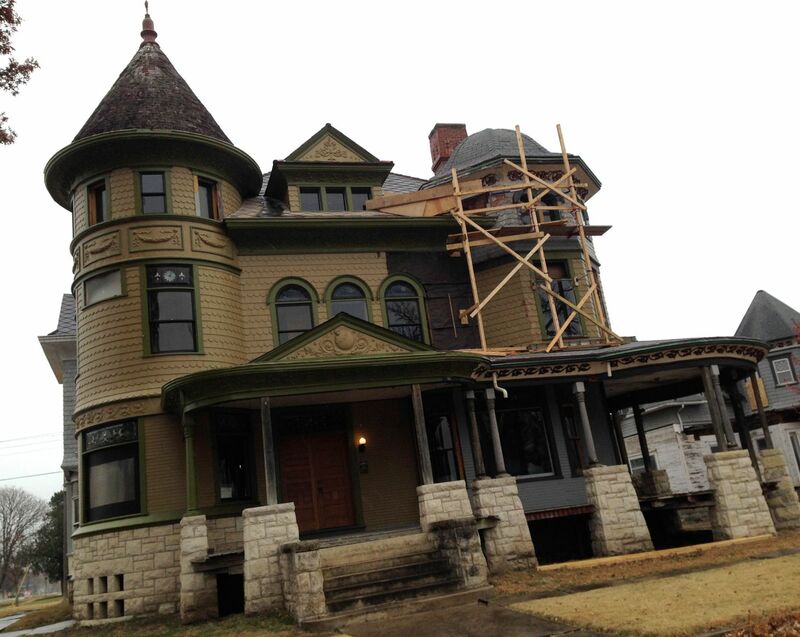 We had conventional scaffolding on the back of the house, which was at the top of a 250′ bluff. But the side of the house where the chimney was, had limestone steps from the daylight basement level up to the street. 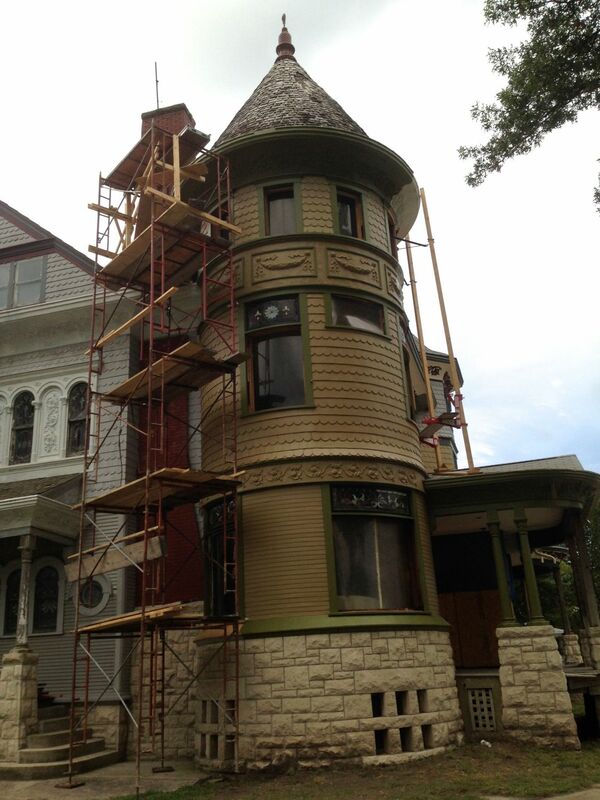 My dad built a scaffolding for me to paint that end of the house, on which you could stand with the brush and the paint the house as you swayed by in the constant breeze. It’s a wonder our super vigilante neighbor didn’t report my parents for child abuse. She threatened to over me hanging by my knees from the top level of scaffolding 3 stories of the ground to reach areas where I wasn’t tall enough from the level below. I have a lot of sympathy for your discomfort with heights. I am glad you are still with us, Nikki! I was gifted some mason’s scaffolding (solid as a rock) from a contractor friend of mine. 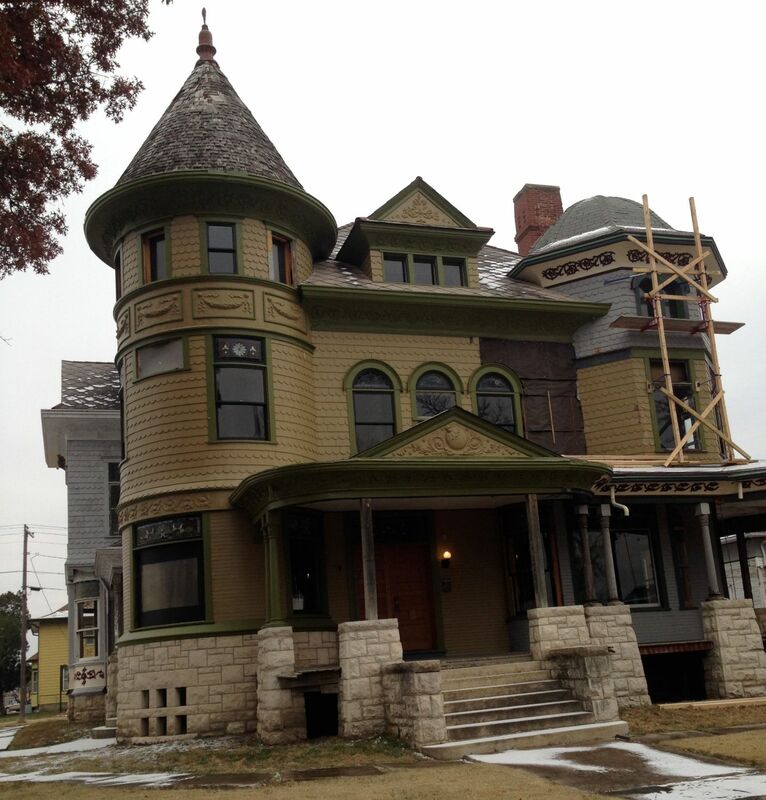 Unfortunately it wasn’t enough to reach the tippy top of the peak of our tudor revival’s gables. The resulting ladder scaffolding combination had my fiance’s knees and would have likely your knees shaking quite a bit. Its been a pleasure following along…if onyl I could figure out how to blog so consistently…Ross how do you do it? It looks impressive but it’s still not safe. With their wheeled base units, scissors lifts are easy to put into position wherever you need them. They’re safe, solid and stable, and the easily adjustable height lets you adjust the level as you need to get the perfect setting. Thank you so much for documenting this so thoroughly. It is 2019 and I am catching up and this is such a pleasure.